It’s funny that I see so many anti-GMO activists claiming that once they got off of GMO “processed crap,” that they suddenly are cured from their ailments. These folks like to claim that eating organic has made a huge difference in their lives because it’s more natural. That to me is pure bunk. Let’s talk about those whole foods that are in its most natural form. It’s supposedly much healthier for you.This is clearly a whole food in its freshest state. Heck, these are as whole as you can get and fresher than that wild fish caught a week or two before and frozen! The anti-GMO folks also claim that there is so much food waste that GMOs aren’t needed to feed the world. The odd thing is that if you sold this at Whole Foods or other health food stores, no one would buy them. 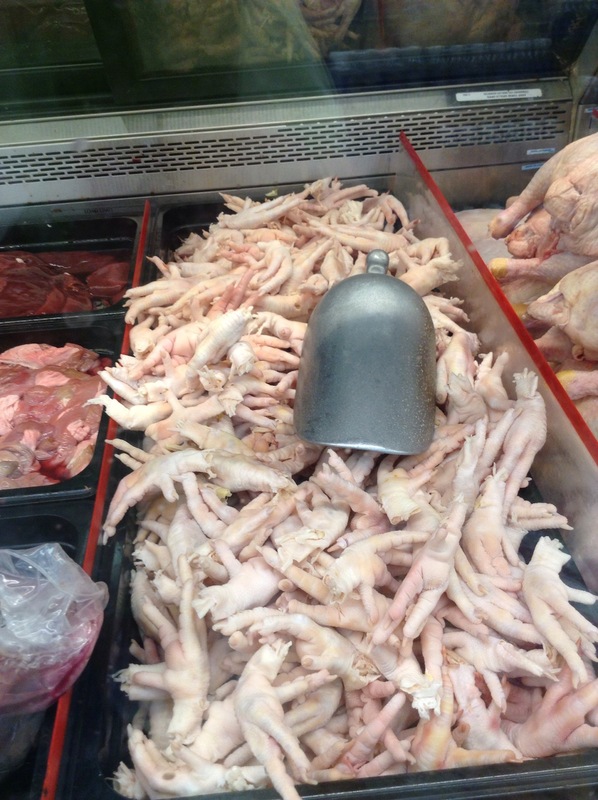 These are chicken feet, a classic Asian delicacy! 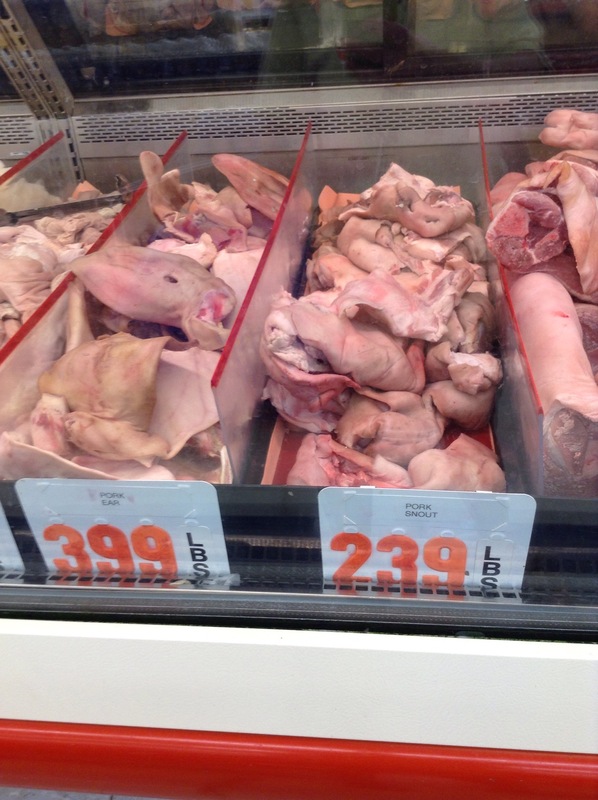 In many Asian cultures, nearly every part of the animal is eaten. That includes the innards of animals. My grandpa loved to eat his pork intestines in a rice soup! When I say everything is eaten in many Asian cultures, I really mean it. That includes if ears and the snouts. 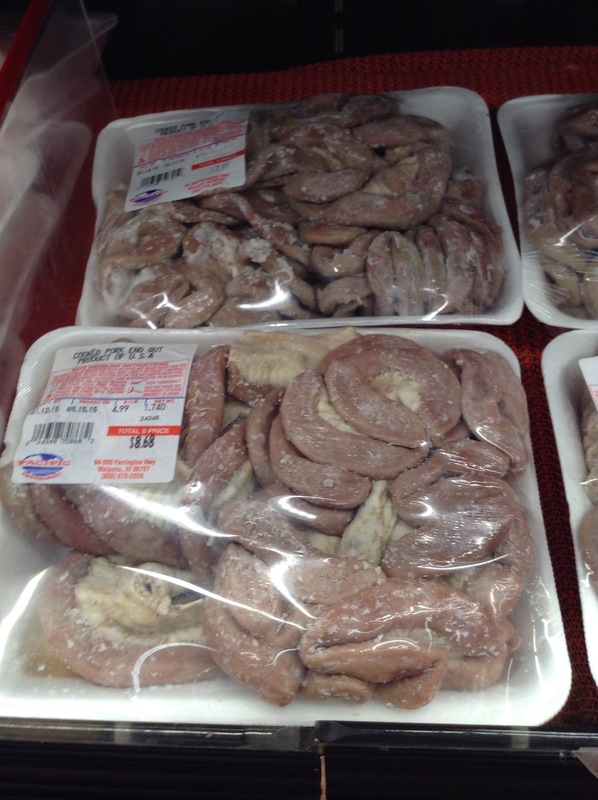 These are regularly found in the Chinese and Filipino grocery stores. As I walked around the Filipino market, there was an array of goodies too. One of my favorites is halo halo, which is a sweetened mix of beans, coconut strands, and jackfruit. It sounds odd but is so delicious. 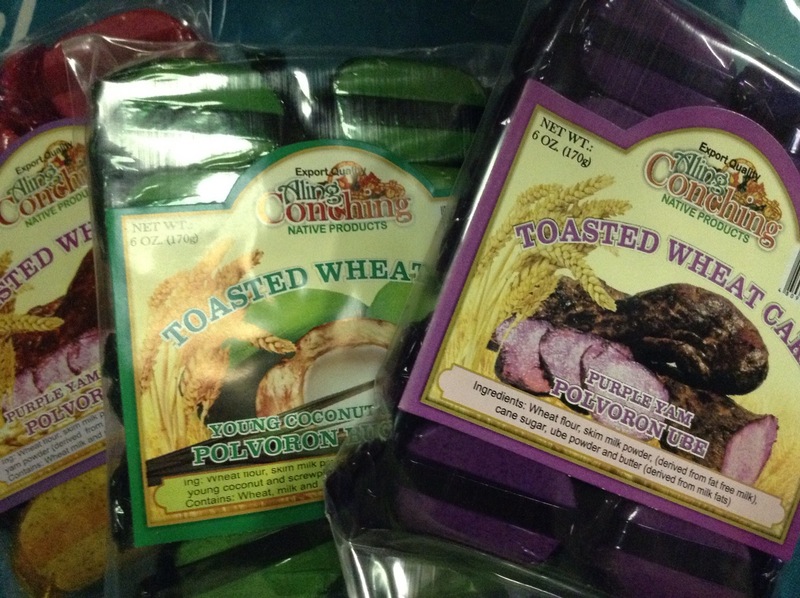 I also managed to find some processed yummies called polvorone. It’s made of wheat, sugar, and various flavors like coconut and sweet potato. I walked around this entire market and saw so many unusual vegetables and fruits that one would never find in a regular supermarket. 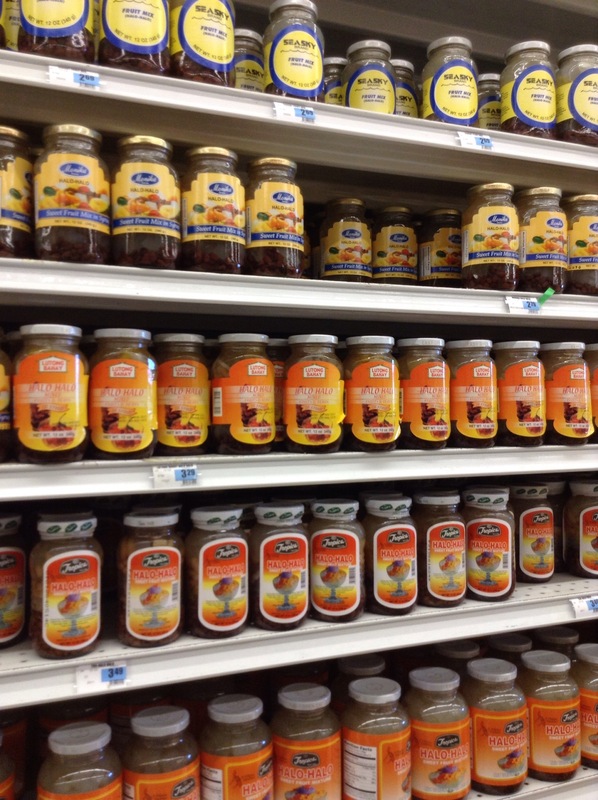 I did notice that I did not find a huge section for vitamins or supplements in this market, which got me thinking. Stores like Down to Earth and Whole Foods all have huge sections for unlabeled, unregulated, and untested supplements. If the GMO free, organic food sold there is so superior for your health, why should you ever need to buy supplements? The Filipino favorite veggie, malungay, is now a hot commodity by the new age foragers. It’s called moringa to them and the dried form of it can sell for $35 a pound! Heck, the Filipinos have been eating this for generations and not for the sole sake of being healthy. It’s good stuff with mungo bean! I smell a scam when the anti-GMO, just label it, right to know folks say eat clean, healthy, and whole foods but then try to sell you the most processed foods in the form of supplements. Could it be that these people really do know something about the nutritional content of their products? I think the largest workforce at the seed companies know better than the Whole Food patrons about the truth with eating whole foods. These folks have been eating this way for centuries and they don’t need to have 4 aisles of their stores dedicated to supplements. Who needs buffet garnishes and exotic grains from distant areas of the world when you can get your food right here in Hawaii? We mess up other people’s food supplies when we try to eat their “superfood.” These folks know what works since they’ve been eating this way for ages. And they are pretty smart to know that they don’t need to spend a pretty penny more to get good food. There are no special labeling needed for these items either. It is ironic that the anti-GMO activists think that the immigrant ag workers aren’t smart, but then strive to eat what is their normal fare in the name of health. The trendy eaters eat the things that these ethnicities have eaten for decades and think they are better for eating “healthy.” I guess when you have lots of extra money, paying more for your health food gives you a higher moral standing than those workers that they’re trying to eat like. I just have to chuckle to myself when I see this hypocrisy that really is unsustainable being a trend eater. Take a visit to Pacific Market in Waipahu to see some real whole, fresh foods.